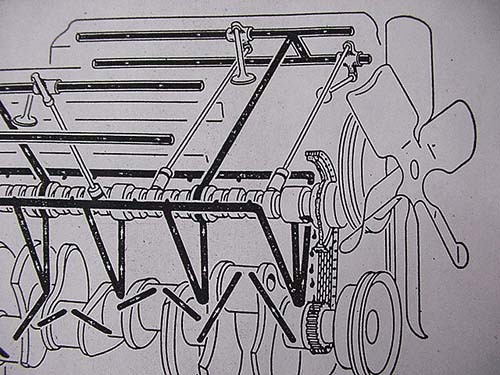 This schematic is from Wayne Graefen. 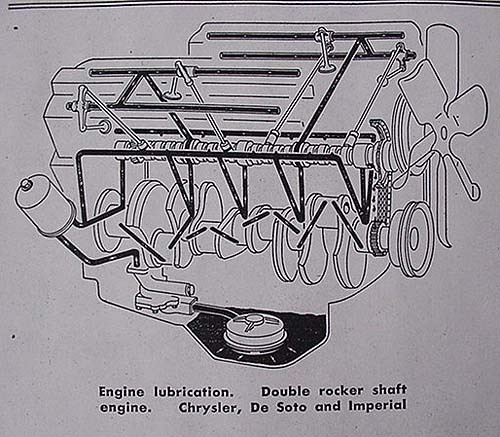 This schematic is from David Coston and the 1955 Chrysler/Imperial service manual. 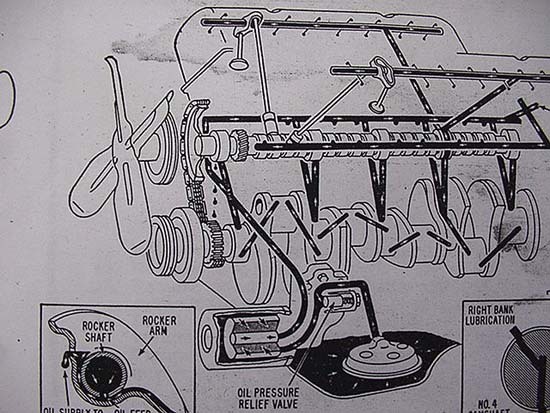 The next three photos are from a 1961 Motor's Auto Repair Manual. 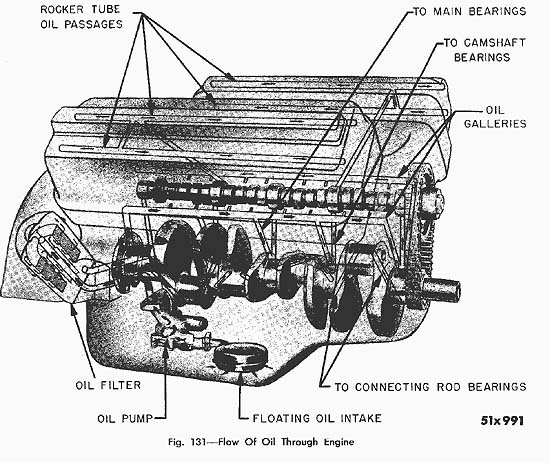 Oil is drawn from the pan through a strainer to the oil pump. Oil goes to the filter and then to the passenger side main oil gallery as well as to the rear cam bearing. 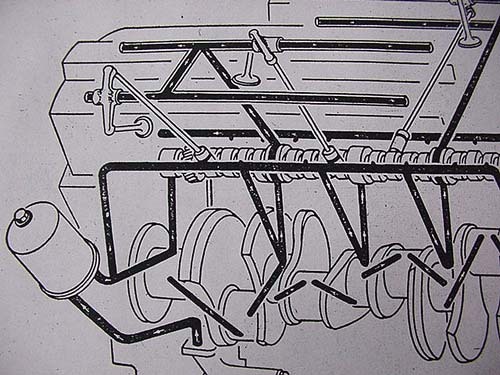 and the crankshaft main bearings. 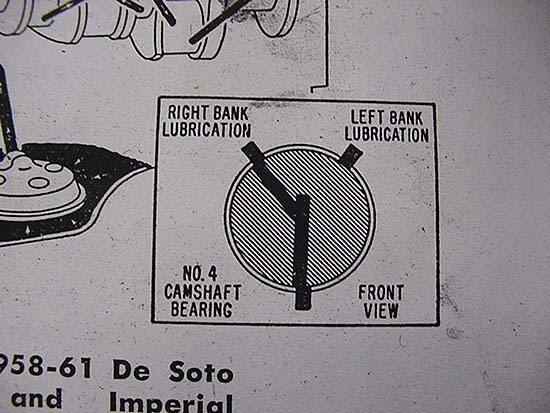 Oil to the crank main bearings is also directed to the cam bearings and the crank rod bearings. At the front of the engine the passenger side main oil gallery connects to the driver side main oil gallery. and finally the oil pressure gauge. and the driver side rockers receive oil from the #2 cam bearing. 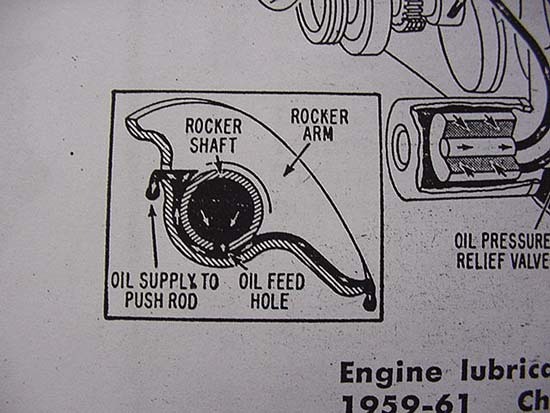 The rocker oil supply is pulsed as the cam has holes that momentarily line up with holes in the bearings. 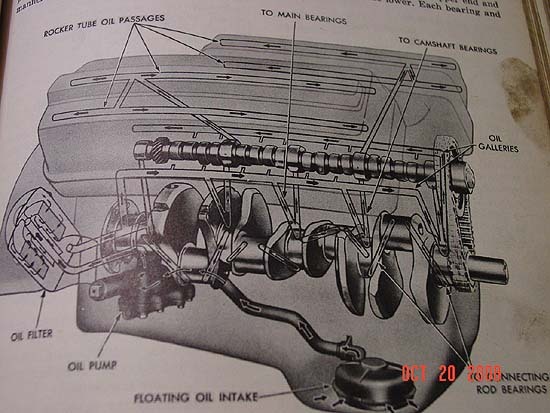 Oil goes to the filter and then to the passenger side main oil gallery as well as to the front cam bearing. and to the oil pressure sending unit. 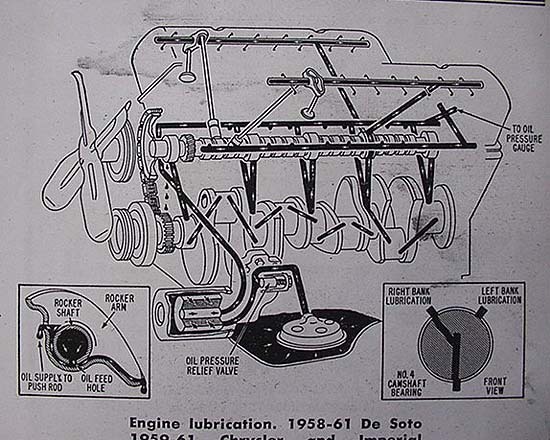 Oil flows to the front of the engine in the driver side main oil gallery feeding hydraulic lifters.